The focus of our curriculum is to provide a good educational programme that feeds the holistic development of children. Our curriculum follows Montessori principles while also meticulously corresponding with the national EYFS (Early Year Foundation Stage) framework. 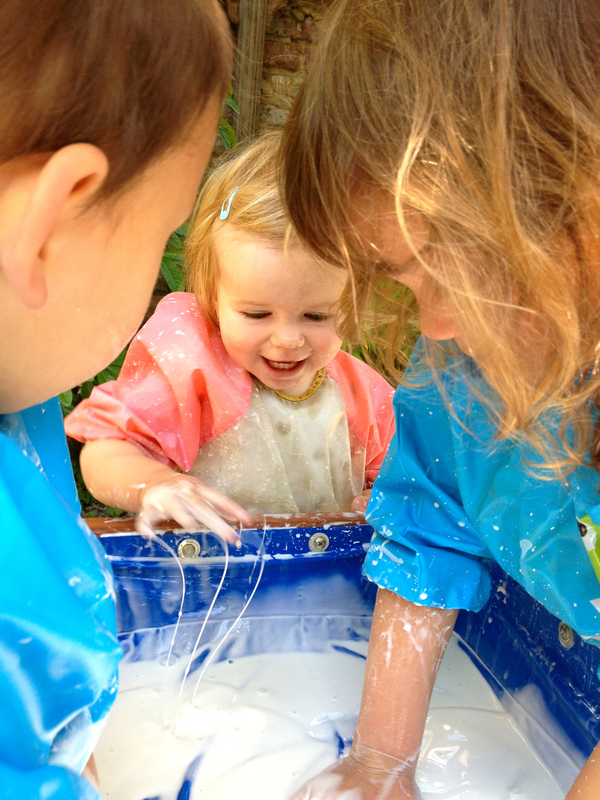 Montessori learning programme delivered inside and outside the classroom. Personal, Social and Emotional Development: In our nursery we will deliver this area of learning through practical life activities; Cultural activities; ground rules, grace and courtesy; role modelling by peers and adults. Communication, Language and Literacy: We will help children to develop their skills through freedom of speech and opportunities for dialogue, listening exercises, building vocabulary and communication skills. We will learn through story-telling and books, and work on pre-literacy and writing activities with strong emphasis on phonics. Physical Development: Our children will develop gross and fine motor skills, a high degree of hand-eye coordination and balance through practical life activities, outdoor activities, including building your own den and obstacle course; dance and kids Yoga; health awareness; as well as all activities which maximise the flow and movement of each child through diverse and challenging environments. Maths: Opportunities will be provided to children for problem-solving and reasoning as well as deliver specific learning in early Maths such through Sensorial and Maths activities including working with shapes, sizes, patterns, fractions and simple calculation. Knowledge and Understanding of the World: Through our Cultural and sensorial activities; exploration and care of the environment both inside and outside; Peace education and British Values, as well as Special topics. Creative Development: Activities including art and craft; music and movement; drama and story-telling; spontaneous role play usually occurring in a practical life area, cultural area and/or during outdoor play. Chinese Language Acquisition Programme: The planning is alongside other areas of learning, and conducted through daily dialogues with Individual children, small groups and occasionally the whole group engage in topic based activities.